In The Roads to Sata, the author Alan Booth tells the story of his walk across the length of Japan, from Cape Soya on the northern tip of Hokkaido to Cape Sata on the southern tip of Kyushu. This entry was posted in Book Review, Japan and tagged Alan Booth, ryokan, travel writing on February 28, 2016 by Traveltorgeir. I was getting hungry, headed for the Susukino area. I had heard rumors of a certain Ramen Street. It was easy to find, a huge sign marked the entrance to the narrow alley. I love Ramen, it is my favorite Japanese food, I had to eat at Ramen Street tonight. This entry was posted in Japan and tagged food, ramen, Sapporo on February 26, 2016 by Traveltorgeir. I have eaten ramen on every visit to Japan. The following episode happened in Okayama in July, 2015. It was late when I left Aussie Bar in Okayama, it had been a long night. I was tired, needed to sleep, but hungry as well. I’d heard of a ramen shop, Poku Ramen, just around the corner. It was open until 5am, perfect for a visit after some time in the bar. I headed for it. What could be a better meal before going to bed. This entry was posted in Japan and tagged food, hakata, Okayama, ramen, Sapporo, tokyo on February 23, 2016 by Traveltorgeir. It was April, still quite cold. I was still wearing my winter jacket. I thought it would be warmer here by now. I was walking through downtown Reykjavik, towards Tjörnin, the lake in the middle of the city. It was my first day in Reykjavik, my first trip here since childhood, I was taking a walk around just to get mental map of the place. Doing some sightseeing in Reykjavik. This entry was posted in Iceland and tagged Bæjarins, Hallgrimskirkja, Reykjavik, Tjörnin on February 18, 2016 by Traveltorgeir. On April 14, 2010, the volcano Eyjafjallajökull erupted on Iceland, spreading large amounts of volcanic ash all over Europe, grounding all airplanes in Northern Europe for days and disrupting air traffic for weeks. People either on the way on holiday or returning home found themselves stranded in airports, unfamiliar cities or found other, more time-consuming modes of transportation. This entry was posted in Iceland and tagged air travel, Eyjafjallajökull, Reykjavik, volcanic eruption on February 16, 2016 by Traveltorgeir. We could hear Norwegian being spoken everywhere, all around us, the whole weekend. If we were in the city center we were surrounded by Norwegians. There seemed to be more Norwegians than Poles in Gdansk. A Norwegian invasion. Flights from Norway to Poland are very cheap at the moment. I paid 500 kroner (£50) for a round trip Trondheim-Gdansk. Add the cheap prices in Poland and visiting Gdansk for a weekend can actually save you money. This entry was posted in Poland and tagged Gdansk, tourism on February 11, 2016 by Traveltorgeir. I visited Amsterdam bar in Gdansk in December, 2015. It had been recommended by a friend of ours, a great bar in Gdansk with a massive selection of Polish beer. We had to try it out. 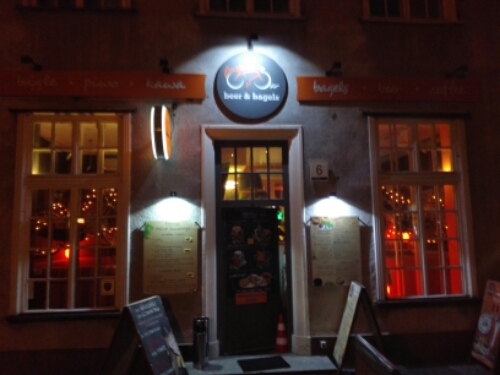 This entry was posted in Poland and tagged bar, beer, Gdansk on February 4, 2016 by Traveltorgeir.